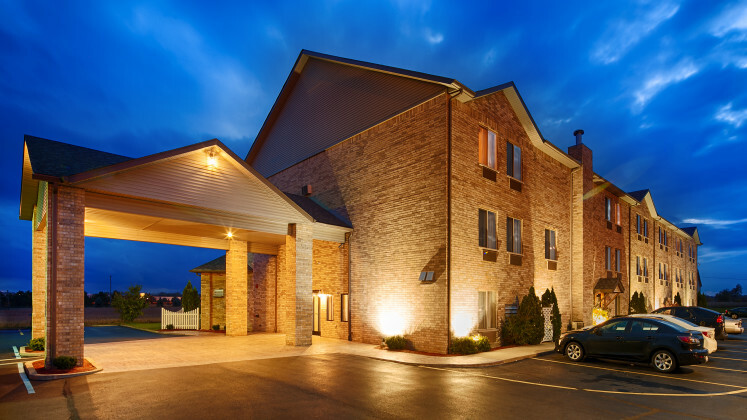 Come experience why Best Western Plus Howe Inn has been winning awards from both leisure and business travelers. From our stylish modern designs to the upgraded amenities, guests enjoy comfort and value when staying at Best Western Plus hotels. Best Western Plus hotels proudly offer breakfast each morning and some offer customizable "build your own"* breakfast stations, free high-speed internet, a fitness center*, business center, and laundry/dry-cleaning services.offers exceptional service and quality accommodations. Featuring a hot breakfast, indoor pool, exercise room, suites, laundry. We value our guest's comfort. Our spacious guest rooms allow room for work or play. Most offer an oversized desk / work space, in-room mini-refrigerator, and stylish bath amenities. Conveniently located off Indiana Toll Road Exit 121! Minutes from Downtown Shipshewana, dining, shopping and so much more! Book your stay today and see why Best Western Plus hotels are loved by guests. On the map below, you'll find Best Western Plus Howe Inn, as well as a few of the lodging, dining, and activities that are close by.